to and from London, Hampton, and Hampton Court, daily. Twickenham is a most picturesque village on the Thames. 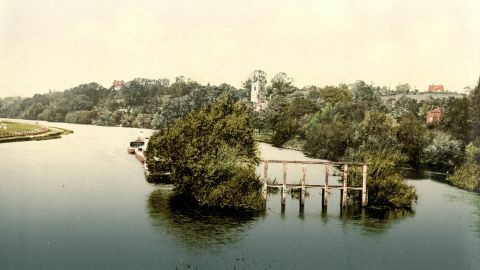 Between Richmond bridge and this village is a rural walk, on the border of the river; and probably no promenade of a similar extent, in any part of England, presents a display of scenery so soft and so highly cultivated. 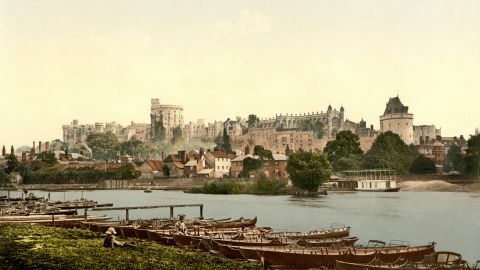 The margin of the Thames is lined with stately dwellings, whose ornamental grounds descend to the water’s edge; among which stood the residence of Pope. Here he translated a part of the Iliad, and wrote the Dunciad, the Essay on Man, &c., and hence are dated a great number of his letters; here also he died. Twickenham Ait, on which stands the Eel-pie House, is a little below the deep. 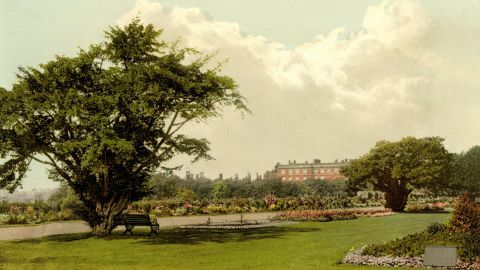 Opposite the Ait is York House, and near to it, Orleans Home, two time-honoured royal residences ; the first by the Stewart family in its decline, the second by Louis Phillipe on his first exile. One mile from the town is Strawberry Hill, a large mansion, a medley of castellated and ecclesiastical Gothic architecture, the residence of Horace Walpole.